Best Omega Juicer Review - NC800/NC900 | Why It's Best Omega Juicer? Home » Best Omega Juicer Review- NC800/NC900- Why It’s Best Omega Juicer? Best Omega Juicer Review- NC800/NC900- Why It’s Best Omega Juicer? The Omega NC800 juicer is a premium juicer machine which ranks among other juicers on the market. It is known for its performance and efficiency when it comes to juicing, and this makes it a solid choice for juice lovers and enthusiasts. With different types of juicer machine on the market, it is imperative that you know the type and operation of the Omega NC800. 4.1 How long does the complete assembling process take? The Omega NC800 HDS is a masticating juicer that expertly blends, chew and mashes the vegetables and fruits you wish to process by squeezing every single drop of juice in it. In this process, the juice is separated, but the process is prolonged because the masticating juicer is slow in operation compared to centrifugal juicers. This masticating juicer is ideal for juicing leafy greens, spinach, kale, parsley, for making wheatgrass juice, apple juice, orange juice and it is very easy to do. This is one of the best masticating juicer on the market which can be used as a commercial juicer. Unlike centrifugal juicer that causes oxidation of the juice due to the speed and heat, this doesn’t cause any oxidation because no heat is made when doing the juicing. Now that you’ve known that Omega NC800 HDS is a masticating juicer it is imperative that you know the different parts of the juicer machine. Feed chute is a hole through where you put materials inside the juicer. The Nc800/900 has the wider feed chute than any other horizontal juicers. What’s wrong when the chute is small? You wouldn’t be able to insert medium sized items without cutting them into several pieces but wider feed allows a couple of items with no cutting. The measurement is 2-inch x 1.5 inch. You would need to cut a large sized apple into two pieces in order to push that through the feed chute. Unlike few, these models come with an adjustable end cap which you can use to increase the juicing yield. That’s time saving and some expensive models also don’t offer this feature. 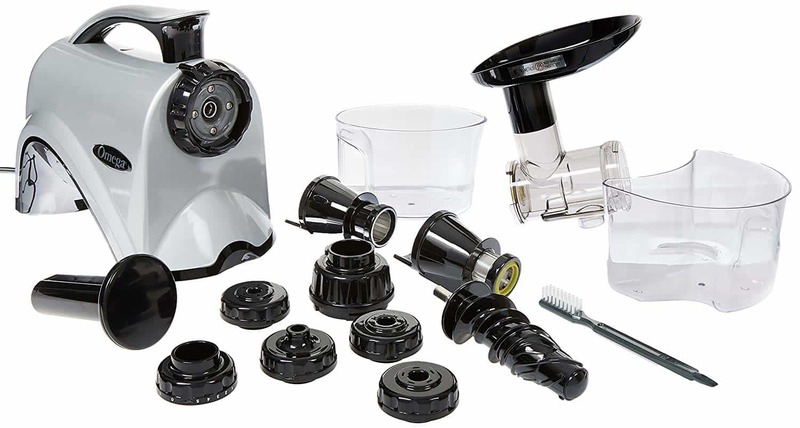 As effective juicing requires a bunch of extra parts, the NC800/900 brings some accessories with them such as three different nozzles, a cleaning brush and two strainers (one for food processing and another for juicing). Though Kuvings NJE-3580U and J8006 comes with some more accessories. In the performance section I have given an overall performance report of these models but as you still didn’t reach there you don’t know. The NC800/900 is a great machine for leafy green juice, they do an outstanding job in juicing this item, even though it is one of the hardest items to be juiced. The single auger delivers far better outstanding yield than the centrifugal juicers. You would barely find a juicer that gives a high yield of leafy greens at this price point. I am clueless how the manufacturer has managed these models at the given price, these models are reasonably priced compared to the most horizontal masticating juicers. The NC800/900 is not just a juicer; they are food processor too. Nut butter, soy milk, almond milk, pasta, ice-cream, or breadstick, you name it, these units will get your job done. Not all the juicer does well in food processing too but the NC800/900 does. The auger of these models rotates slowly and that why these are called slow juicer. But that’s not the point here, the point is as the auger rotates slowly it doesn’t create any additional heat which might harm the nutrition of the juice. And that means you are getting completely healthy juice, for which most people spend a good amount of bucks each time. Thanks to the manufacturer for using high-quality materials in building these models. The NC800/900 has solid construction and material which few expensive models doesn’t even have. Plastics that are used in these models are highly durable and as most of the body parts are made of these plastics that make the entire units highly durable. According to the user manual, the manufacturer has given these models 15 years’ warranty on all the parts and doesn’t include any kind of terms & conditions. If that’s actually true, then the NC800/900 is a win for anyone. Even some expensive juicer manufacturers don’t offer this long warranty. Omega is a well-reputed and highly-reliable brand which is leading the kitchen appliance industry for very long. If you have been in the kitchen market for any length of time, you must have heard the name. This brand was founded in 1985 in the United States and from then to now, they have never failed in delivering quality products to their users. They are very popular for providing peoples with versatile kitchen appliance and another reason for their big fan base is their support. There are very few brands who cares for customers like Omega. They have the top-notch customer support who gives maximum respect and priority to their users. Any problem, they would try to solve it as soon as possible. The quality of juice you get with the use of Omega NC800 is high compared to the centrifugal juicer because this masticating juicer only squeezes out juice from the fruit or vegetable leaving you to a froth-free juice. It is very rare for you to see froth in your juice when using this top masticating juicer. Omega NC800 is a masticating juicer, and so it works with a low speed of 80 RPM. You wonder why this works very slowly. This isn’t a setback to the juicer machine. But it isn’t the perfect fit for those who love to get their juice at a faster rate. Why is Omega NC800 slow in operation? The reason is that it yields a very high juice with quality nutrient. It is the most efficient and perfect means to get your juice because it takes its time to squeeze the fruit irrespective of the ingredient, and extract the juice from it pushing the pulp to its catcher and the juice to the juice catcher thereby leaving you only to your juice that is free from the froth. 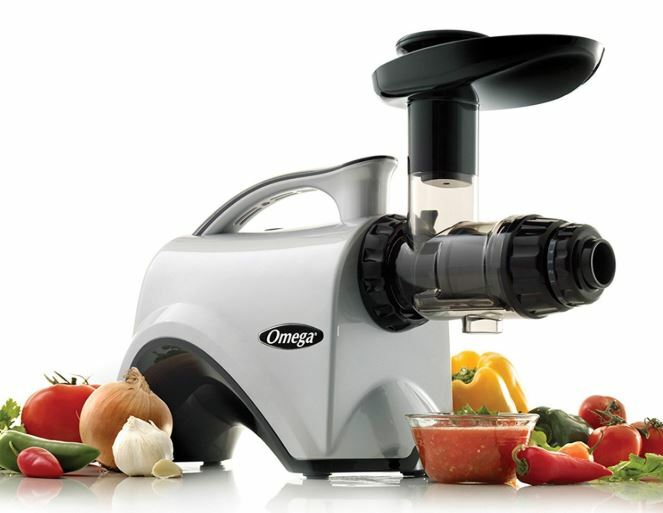 The Omega NC800 is very easy to use even if it’s your very first time of using the juicer. Though it comes with an instructional manual to guide you on how to use you can do that even without the manual as it was straightforward for me to operate the moment I got the product. It is the perfect juicer for extracting almond milk, preparing baby food, soy milk without stress. Having this juicer will make it very easy for you to add juice to your daily diet without visiting any juice bar. Fortunately, it requires less o no maintenance because it is very easy to clean and store. It has a pulp catcher which ensure you don’t have any sticky mess to clean up. I’m a kind of a person that loves to do things without disturbing my household member. If you are just like me and you love to make your juice on your own with the use of a juicer machine that doesn’t make Noise and does juice silently, then the Omega NC800 is just the perfect fit. 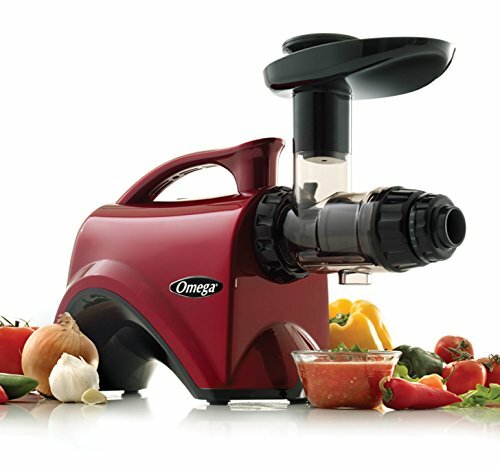 What can I make with the Omega NC800/NC900 Juicer? Can the Omega NC800 HDS /Omega NC900HDC Make Almond Milk? Can the Omega NC800HDS /Omega NC900HDC Grind Coffee? Yes, it can do good at grinding coffee. Can the Omega NC800HDS /Omega NC900HDC Make pasta? Yes, it can make extruding regular flour-based pasta. No Heat Rise Promotes Healthier, Longer Lasting Juice you can keep up to 72 hours in the refrigerator. The feeder chute of the juicer is wider, so it requires less prep time for juicing. Omega juicer warranty has a longer warranty than other same types of juicer. A Long Learning Curve – The adjustable nozzle, which will set which fruits and vegetables needs to set which settings. In hunt of the best juicer, I had tested more than a dozen slow juicers and I would not say that the NC800/900 is the best one and neither worst. In some cases, these juicers were very good and in some, they performed average. I have used these models with a bunch of fruits and vegetables in order to get how exactly they perform on different fruits and vegetables. Before I start with the good performance, want to show you the bad first. Not actually bad, kind of average. As I said, I have tried different things on these juicers, I have found these models to be little weak in juicing wheatgrasses. The wheatgrass juicing performance was below average. And also it did really bad in juicing apple, these models are definitely not for juicing apples. These were bad about the performance but the weight of good is very heavy. These models do gives excellent performance in some specific products and also gives really poor in some. However, I have shown the bad in the above paragraph, let’s talk about the good. Leafy greens are one of the toughest kind of juicing materials but surprisingly, these models have shown outstanding juicing performance on this. In fact, it has made a place on the best leafy green juicers list. Not only leafy green, but these models have also done an impressive job on juicing some other fruits too such as, graph, orange, carrots, celery, spinach, and so on. But these models are knocked on juicing apples. I have tried a different kind of apples by cutting them different shapes, but nothing really worked. I have no clue why these models are so terrible in juicing apples. These models take really less time in juicing fruits. I have used these models on 1lb of grape, orange, leafy greens, carrots, celery, and these juicers took less time than other slow juicers I have tested. And it took more less time in juicing leafy greens. The NC800/900 would be an excellent choice for leafy green juicing and worst for apple juice. How long does the complete assembling process take? It took me only 30 seconds to assemble it from the beginning, if you have assembled some juicers in past, it would take the same for you. But for people who are doing it for the very first time, it might take around 2 minutes as there are few things to be figured. But once you do it, from next time the duration will get reduced. Important Note: The juicing nozzle of the NC800 is adjustable from 0 to 5. However, I would say more about that part in later. I have tested some other similar types of juicers; the hopper comes separately. But surprisingly, the hopper in this NC800 is completely attached to the drum and chute. Thankfully, that’s not something will harm its overall performance. In order to make the juicer ready for food processing, all you have to do is replace the juicing strainer with the processing strainer. The shape of the processing strainer size and shape is the same as the juicing strainer and also fits nicely into the drum. And the next thing you would want to replace is the juicing nozzle. This juicing model comes with three different nozzles suitable for different needs, breadstick, flat noodle, and round noodle nozzle. All of these models come in the shape and design. And fits into the drum cap same as the juicing nozzle. Not only these, auger, drum assembly, etc. also fit same as when juicing. Another surprising part of these juicers is, the hopper, feed chute and drum is permanently fitted to each other. I didn’t know that until I got my hands of these and I think, most of the people don’t know that too. The color of the hopper is entirely different (black) which is why I have tried several times to remove it but failed. If I would have tried any further I might have ended up breaking the entire thing. And one more confusion grew when I have gone through the user manual where it is clearly written that the hopper should be fitted to the chute but how it can be fitted when it is not removable? Thankfully, that doesn’t create any problems in food processing. Later on, I have found out that the drum, chute, and the hopper is considered as one part and the manufacturer doesn’t sell them separately. To be honest, cleaning the NC800 took me 4 minutes, I didn’t include the time taken to disassemble the entire unit. Dissembling all the parts, moving them to sink, pouring the sink with water, these are not included. The 4 minutes started from the cleaning process. Different types of juicers will take a different amount of times. However, if you are new it might take up to 8 or 10 minutes but that’s okay, go slow at the beginning. The user manual doesn’t come with proper cleaning instruction, it only tells that parts should be cleaned in warm and soapy water. But doesn’t clearly shows any method which could be hard for first timers to figure out the effective method. However, don’t worry. I know the effective method and going to help you with that. How do I know that if the user manual doesn’t give the proper guide? Well, I have prior experience of cleaning and reviewing a different kind of juicers. Not only juicers, blenders, air fryers, oven, and so on. During that period, I have gone through a lot of juicer user manuals which helped me to figure out the actual cleaning method. But that wasn’t this easy, even after holding a little experience I had to do a little research too. Step 1: The very first thing you would want to do is to disassemble the entire juicer into pieces. The hopper, chute, and drum are attached to each other so consider them as one part. Step 2: Fill half of the sink with warm water and add some detergent and make it soapy. Submerge all the parts into the warm soapy water. Step 3: Here you will need a microfiber clean cloth. Once you have submerged all the parts into the water, rub them with the microfiber cloth and rinse with running cold water. That means, rinse the parts by holding them under the running faucet. Step 4: No other parts of this unit require extra cleaning but the juicing strainer does. You will need to leave the juicing strainer into the warm soapy water for a few seconds or one minute before you start rubbing. Step 5: You will get a cleaning brush with the juicer and once the strainer is soaked for one minute, scrub it with the brush and rinse it. The user manual of this model didn’t give proper instruction about the cleaning but is clearly stated that no parts of these models are dishwasher safe. Thinking it is a drawback? Hell no. Most of the slow juicer comes with non-dishwasher safe parts. But I can name two juicers that include dishwasher-safe parts which are the Kuvings horizontal Masticating and Hamilton beach juicer. Cleaning all the parts of these models is really easy, except the juicing strainer. In fact, cleaning this model has taken less time compared to a few other similar juicers. Not only this model strainer, but all the juicers strainer also requires a bit extensive cleaning. Don’t use any other cloth than the microfiber clothes and for cleaning the strainer you can use the brush that comes with the unit. You should be thankful, there are some juicers which most of the parts requires hard cleaning. 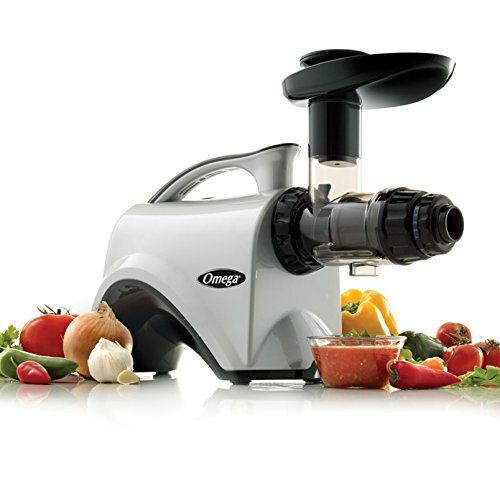 The main difference between Omega NC800 and Omega J8006 Juicer is Omega NC800 has an adjustable end cap. And they claim if it’s used properly you can have more juice out of your fruits and vegetables compared with Omega J8006 model. Other known difference between this two is Omega NC800 is 100% BPA-Free but Omega J8006 contains some BPA. Omega NC800 is 6th Generation Juicer where Omega J8006 is 4th Generation Juicer. Both have the same means of operation, and the only difference is the color. The NC800 comes with either silver(HDS) or red(HDR) color while the Omega NC900 comes with chrome color. This is NC900 is the perfect deal for those who don’t love the NC800 color but is still a fan of how the juicers operate. This new 6th generation horizontal single auger omega juicers is the best yet. With its improved features, you can get 7%-13% higher yield than the previous 5th generation model. There are much more to learn about Omega NC800 juicers, and a considerable proportion has been discussed here based on my experience with the product. The instructional manual makes it easy for me to install and use and within a week I was already a pro and you know how that feels. It is the perfect juicer for those who love to add juice to their daily diet to enhance their healthy lifestyle.